It wasn't so long ago that the Montreal Canadiens had one of the deepest prospect pools in the NHL. Over the past few years, however, the Habs have consistently been on the playoff bubble come trade-deadline time, leading the team to deal away valuable draft picks for immediate help that ultimately led to spots in the postseason. 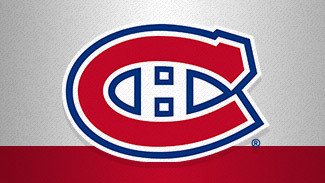 The result was that the Canadiens did not pick in the either the first or second round for four straight years leading into the 2012 NHL Draft, holding seven picks in the first three rounds over that four-year span. Canadiens director of amateur scouting Trevor Timmins still managed to find some interesting prospects in spite of the handcuffs placed on him, but this past summer he was permitted to pick four times in the first 64 selections, giving a serious boost to Montreal's depth of prospects. 1. Alex Galchenyuk, C: Selected No. 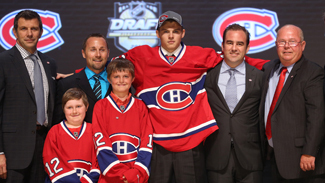 3 in the 2012 draft, Galchenyuk is the most highly touted forward prospect to enter Montreal's system in decades. A tremendous offensive talent, the only question regarding Galchenyuk's future is the injured ACL that cost him all but two regular season games with the Sarnia Sting last season. Still, new Canadiens general manager Marc Bergevin is convinced Galchenyuk has what it takes to become an NHL star. What convinced him? "It was the look in his eyes," Bergevin said. Galchenyuk will be the most scrutinized player at Canadiens training camp and will be given every opportunity to make the team. 2. Nathan Beaulieu, D: An offensively-gifted defenseman who fell to the Canadiens at No. 17 at the 2011 NHL Draft, Beaulieu will try to hone the other aspects of his game in the American Hockey League this season, barring a miracle at Canadiens training camp. His play in his own end is nowhere near NHL caliber, but his skating and ability to move the puck out of his zone makes him a considerable prospect for the future. 3. Jarred Tinordi, D: The 2010 first-round pick (No. 22) is physically ready at 6-foot-7 and 218 pounds, but the son of longtime NHL defenseman Mark Tinordi still needs to adjust to the speed he will encounter at the NHL level. He is likely ticketed for an important role in the AHL with the Hamilton Bulldogs. 4. Sebastian Collberg, RW: Collberg was ranked third among European skaters by NHL Central Scouting at the 2012 NHL Draft, but he fell to the Canadiens at No. 33. A prolific scorer with the Swedish U-18 and U-20 teams, Collberg is projected to become a top-six forward at the NHL level in the next 2-3 years. 5. Brendan Gallagher, RW: A training-camp phenom last fall, Gallagher brings three years of Western Hockey League dominance with him to his first professional season. After three straight 40-goal seasons with the Vancouver Giants, the diminutive (5-foot-7, 175 pounds) forward will get every opportunity to make the Canadiens' squad in 2012, though a trip to Hamilton appears to be the most likely scenario for Gallagher's pro debut. 6. Michael Bournival, C: Acquired in the trade that sent defenseman Ryan O'Byrne to the Colorado Avalanche, Bournival played an integral role in the Memorial Cup victory for the Shawinigan Cataractes. Projected as a solid two-way center, Bournival exhibits the grit and toughness to eventually make his mark in the NHL as a pest. 7. Danny Kristo, RW: Kristo will be returning for his senior season with the Fighting Sioux of the University of North Dakota in 2012-13. The second-round pick in 2008 (No. 56) is coming off a junior season when he finished second on the team in scoring with 42 points in 45 games. 8. Morgan Ellis, D: Ellis is another of the Canadiens' prospects who will be making the jump to the professional ranks in 2012-13, and he has progressed tremendously since the Habs selected him with the No. 117 pick in 2010. The Shawinigan Cataractes acquired him in order to beef up their roster for the Memorial Cup they would be hosting, and Ellis did not disappoint. He teamed with Phoenix Coyotes prospect Brandon Gormley to form Shawinigan's go-to pairing, playing massive minutes during the tournament to play a key role in their victory. 9. Patrick Holland, RW: Acquired in the trade that sent Michael Cammalleri to the Calgary Flames for Rene Bourque, Holland had a prolific season with the WHL's Tri-City Americans. Playing alongside Canadian Hockey League player of the year Brendan Shinnimin, Holland had 25 goals and 84 assists for 109 points in 72 games. He will need to prove he can carry that playmaking ability to the professional level. 10. Tim Bozon, LW: The son of the first French-born player to ever make the NHL, Philippe Bozon, Tim is a highly skilled forward who made an incredibly smooth transition last season from Switzerland to the WHL's Kamloops Blazers. His 71 points in 71 games earned him the WHL Western Conference's rookie of the year nomination.